Our recent research article has recently been accepted for publication in Physical Review Fluids. 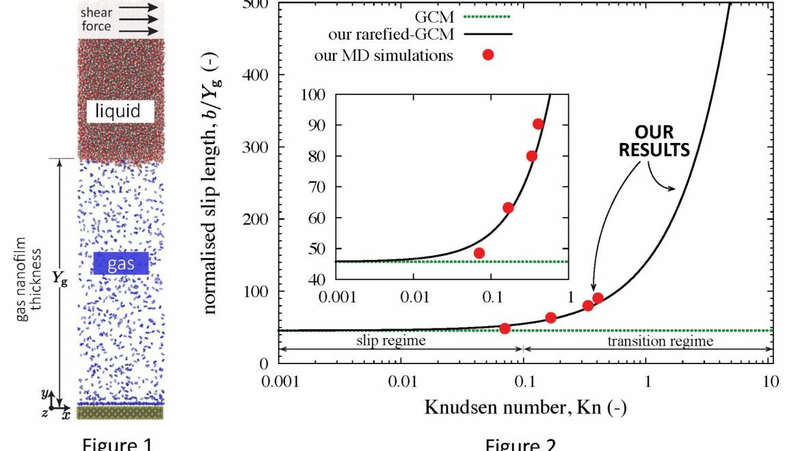 Our main results show that shear flow of water over thin gas nanofilms entrapped on a surface produces larger-than-expected local slip, with the Knudsen number of the gas playing a significant role. 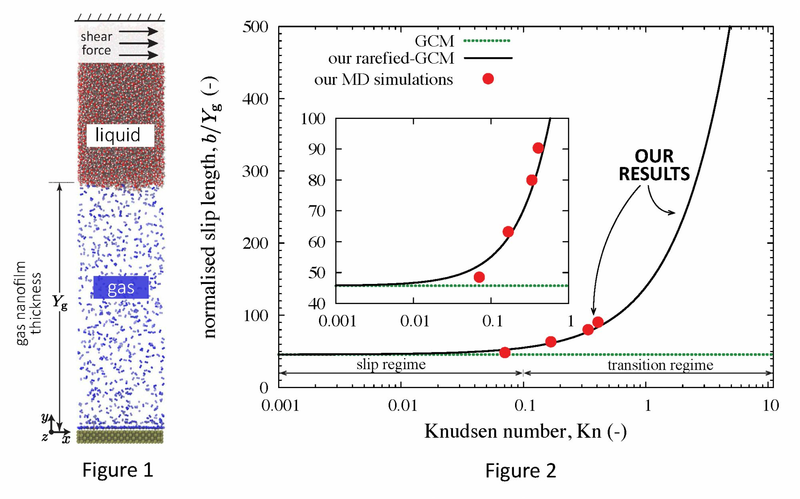 Figure 1 shows a snap shot of the molecular dynamics simulation which we setup to measure the hydrodynamic slip length ‘b’ of water flowing over nitrogen gas, with slip defined at the reference y = 0. Figure 2 shows our main results: we plot values for the original theoretical gas cushion model (GCM) that does not include any rarefaction effects, our molecular dynamics results in symbols, and the proposed theoretical model from kinetic theory – which we have called the rarefied gas cushion model (r-GCM). Insight from these results could possibly help design future self-cleaning surfaces or drag-reducing/anti fouling marine coatings.